Contrary to a majority of my fellow study abroad comrades, I chose a different route for my experience. I am studying abroad in France. You can save your biases about French culture or jokes of a winning-less military for someone else because I have idolized France since my first French class my freshmen year of high school. Since that point I have been intrigued of anything French. I loved speaking it and the way it sounded. I loved French history and traditions. Especially, I loved the romanticism associated with Paris being the “city of lights”. This admiration only increased coming to Cergy, France for my fall semester to study abroad. The city of Cergy is a thirty minute train ride from Paris and needless to say a majority of my weekends during my first month here were spent navigating through the picturesque facades of the Parisian streets. Although the city is beautiful and not a day goes by that I am not taken aback by the sheer fact of where I am standing, I would be lying if I said my entire trip has been perfect. I made this experience challenging for myself. I could have gone to a school with a group of my close friends for the summer. I could have attended a school with which our university had a specific exchange program. I could have chosen a country where the majority of its population speak English. 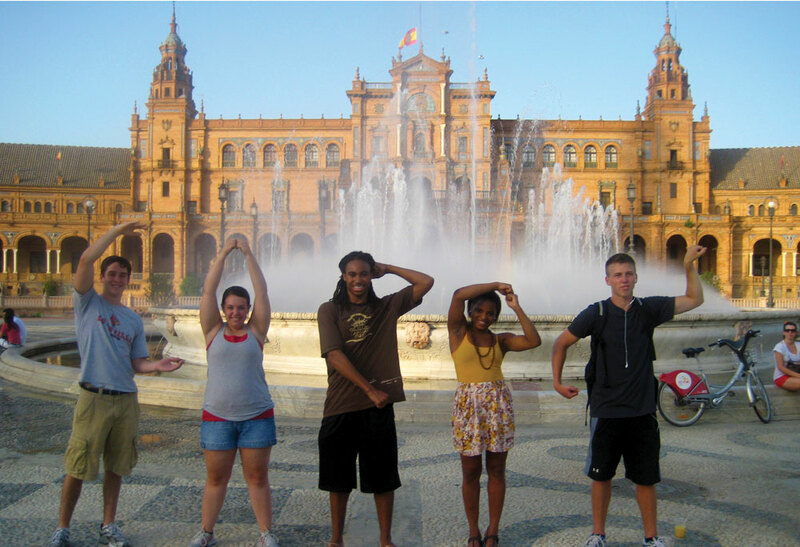 To me though, study abroad meant something different. If I was going to study abroad I was going to make myself as uncomfortable as possible because that’s how I feel people truly grow as human beings. Out of the almost 200 exchange students there are ten from the United States and I am the only student from my university. If I had a question about a class or even something so basic as finding the grocery store there was no familiar face with which I could find a solution to the problem. After a month here I can safely say that I am extremely glad I put myself in such a seemingly uncomfortable situation. It means that I am not reliant on people to make my own decisions. It means I am forced to branch out and acquaint myself with the people and places around me. I have learned a lot about my capabilities in this first month and I could not be more excited for the next three. A bit of advice to any study abroad student: to maximize the personal benefit of the experience make yourself as uncomfortable as possible.